Really just an excuse to show off a few photographs from our recent trip back to Slovenia. My thanks to Andy, Loz, Matej, John, Roo, Anja, Franjo and Jess for their help with the photography. 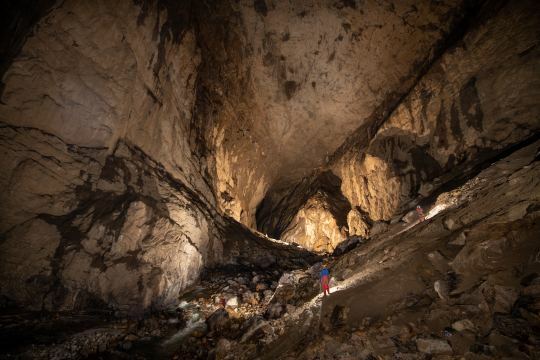 Last year the team began the project of scanning škocjanske jame with the ultimate aim of reaching Martel Chamber, one of the largest cave chambers in Europe. 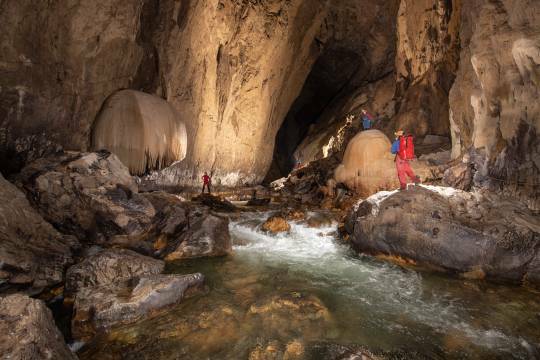 Unfortunately the underground river has to run at no more than 3 cubic meters per second to be considered safe to cross and, after the snow melt, the levels rose to 13 cubic meters. After almost a year we returned. The Hanke Canal is a vast canyon with the river running through. Ropes were rigged at both crossing points and as traverses along the walls to ensure that if the river begun to rise the team would be able to exit safely. The passage is is, in places, 140m high and beautiful Gours and flow stone adorned the passage. 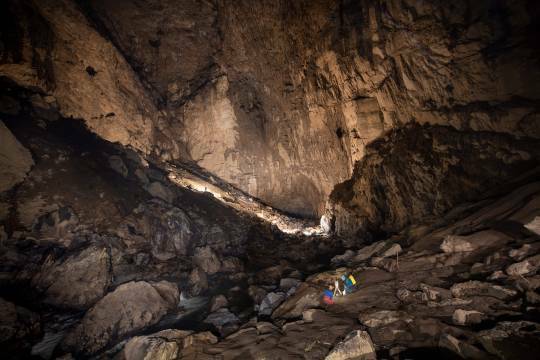 The scanning team at last have the chance to map this great chamber. Gazing back from the sump the four cavers in shot give some perspective to the impressive cavern. 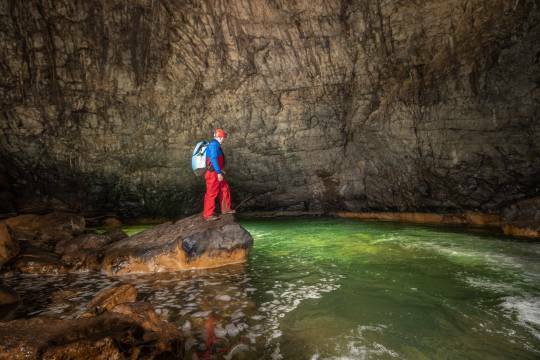 At the end of the chamber the sump denies the scanning team access to the final couple of hundred meters of passage before once again the river sinks through the limestone. 10 Likes tony from suffolk, Jenny P, Graigwen, MarkS, Badlad and 5 more people like this. 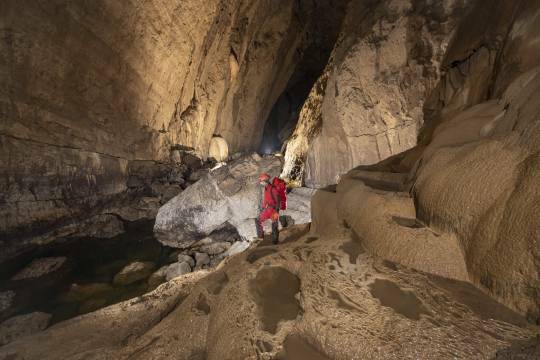 What an amazing cave, and possibly the best show cave in the world (it must be up there). Popping out of the chamber with the big stal into the side of the canyon was breathtaking.